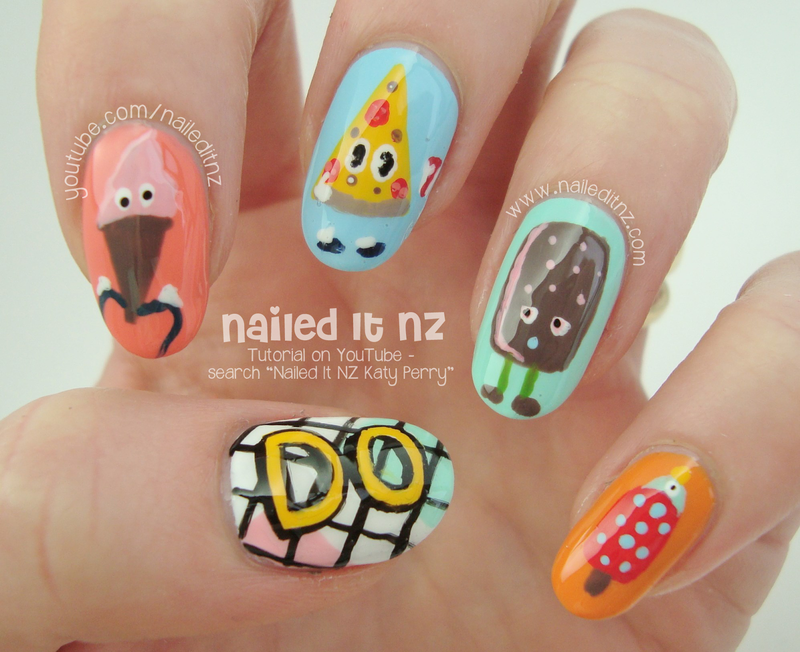 I'm so excited to show you this nail art! I had so much fun doing it, but only released a sneak peek of two of the nails at the time of doing them. Now I can finally show you the whole thing! 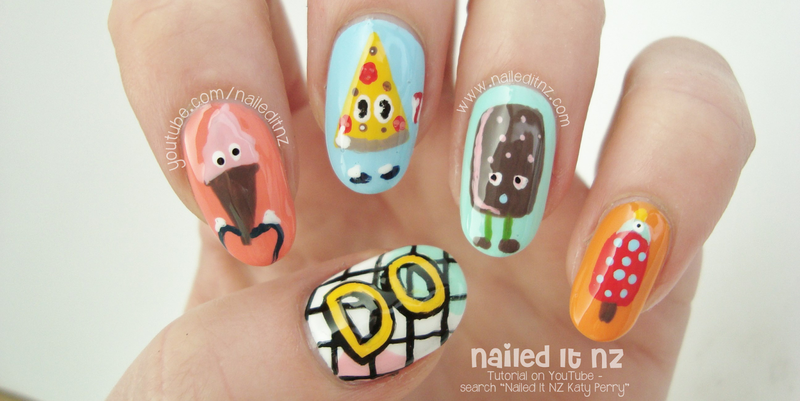 This nail art design was inspired by the music video for Katy Perry's song "This Is How We Do." It's such a fun clip, full of bright colours and crazy characters... including these little guys! Here's the tutorial for them. Please subscribe to my YouTube channel if you're not already ☺. 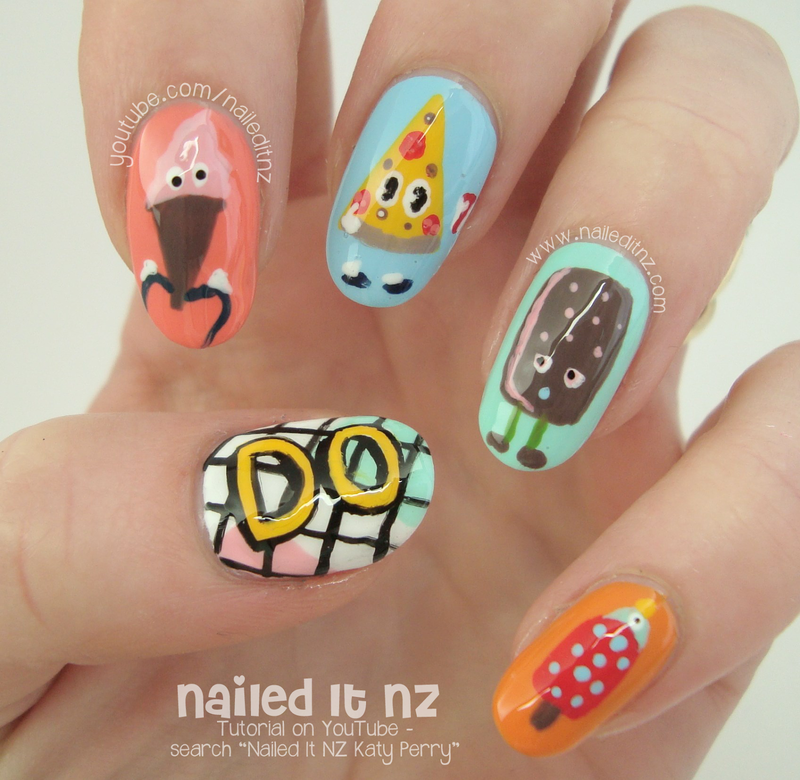 I've done some Katy Perry nail art before, by the way - you can check out "Roar" here. There are about five other designs I could create from this one video - there are so many different themes! For now though, I'll try hunt down another popular, exciting music video to recreate. I've already done Taylor Swift's "Shake It Off" - let me know what you'd recommend! (Also I find it a little awkward that the same week I publish Katy Perry and Taylor Swift tutorials, the gossip mags are full of some feud between them. Women huh?). If you haven't seen the music video for Katy Perry's "This Is How We Do" you can watch it here. Plus, if you want to see what she's like on a more personal level, check out this video - she's so funny and charismatic! This mani makes me smile!